This ZRX was picked up by Brian Wells in 2015. He had always liked them and wanted to add his personal touch & engineering skills to a standard machine. The only changes to this late model were the silencer, rack & radiator screen. At 12,000 miles from new it was a good candidate for a "special" makeover. 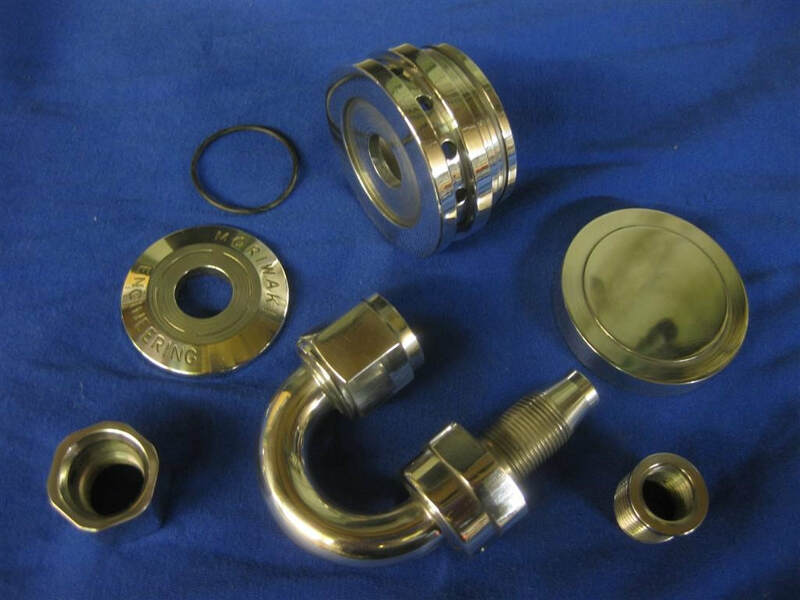 The plan was to replace or re-finish standard items. Adding some after market upgrades and mixing in some one off solutions from Brian's own workshop. 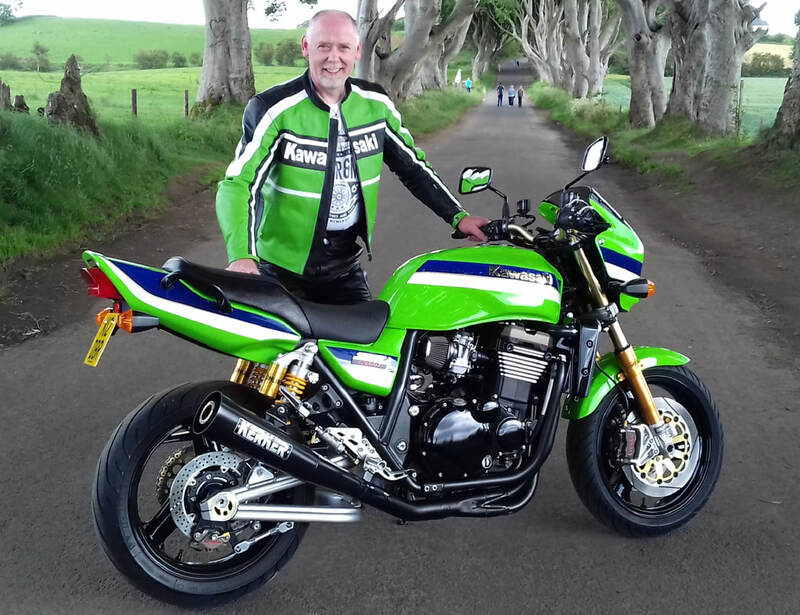 The challenge was to stay true to the feel and heritage of the ZRX and earlier Eddie Lawson tribute machines - whilst creating something which would hold it's own against 2017 rivals. The Header pipes were released and the standard exhaust system would not be seeing any further action on this bike. This revealed the front coolant pipework and the state of the motor. One bolt above (shown) & one below hold the pipe in place. It is hard to clean behind the radiator & headers, but that can now be tackled. The water pump was removed for cleaning & checking. 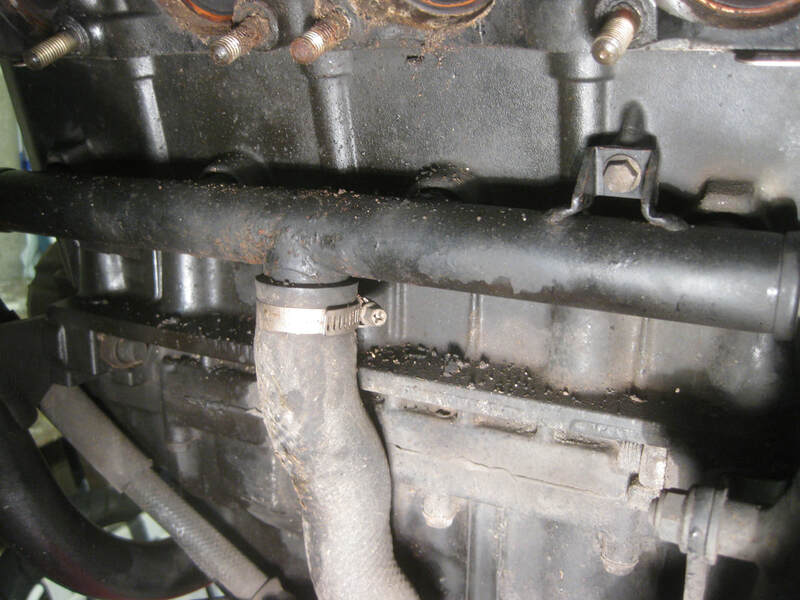 The coolant drain bolt can be seen on the lower pipe in our picture. The external hose clips are stainless and will clean up nicely. All the pipes get an O ring to seal them to the engine and water pump. 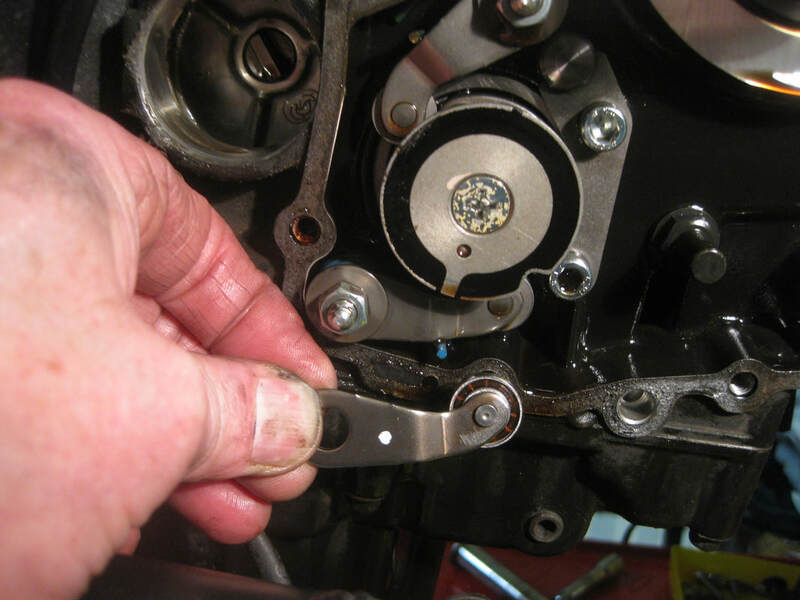 Tip - make sure you find & replace them to prevent leaks and having to remove the exhaust & radiator again. 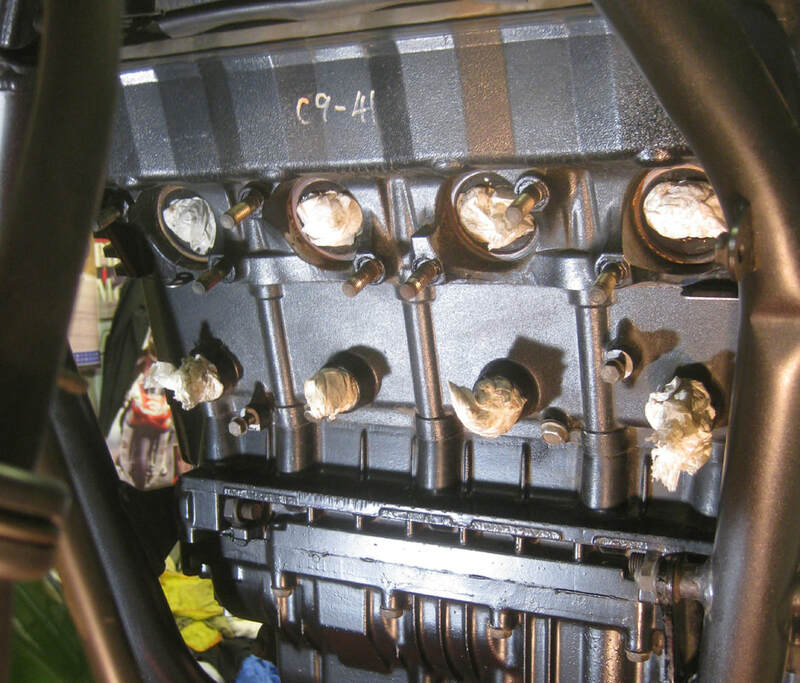 The engine was given a good clean up. Much easier with the exhausts & pipes removed. You can see the crease in the front left frame tube. made of light alloy (not steel like the main frame). The gear shift has a clunky reputation on this model. The standard detent arm was removed and replaced by this custom version from FACTORY PRO. You can see the improved bearing against the standard one here. This should give slicker shifting. Here is a new manual starter motor chain tensioner. You can see the threaded adjuster. 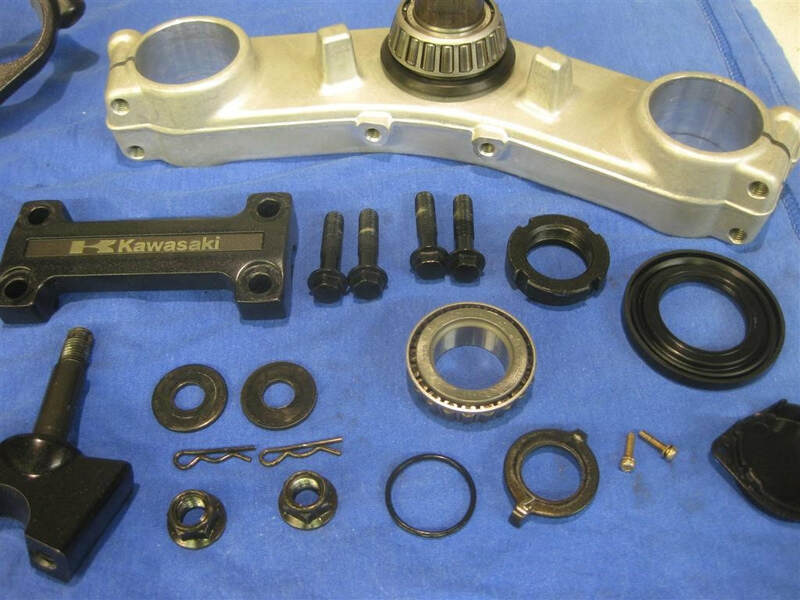 The originals can be prone to allow slack which will let the tensioner body touch the clutch basket plate. This leaves score marks and sounds bad during start up. ELS from the USA supplied this upgraded item. There is an extra oil feed pipe inside the clutch cover for this chain. 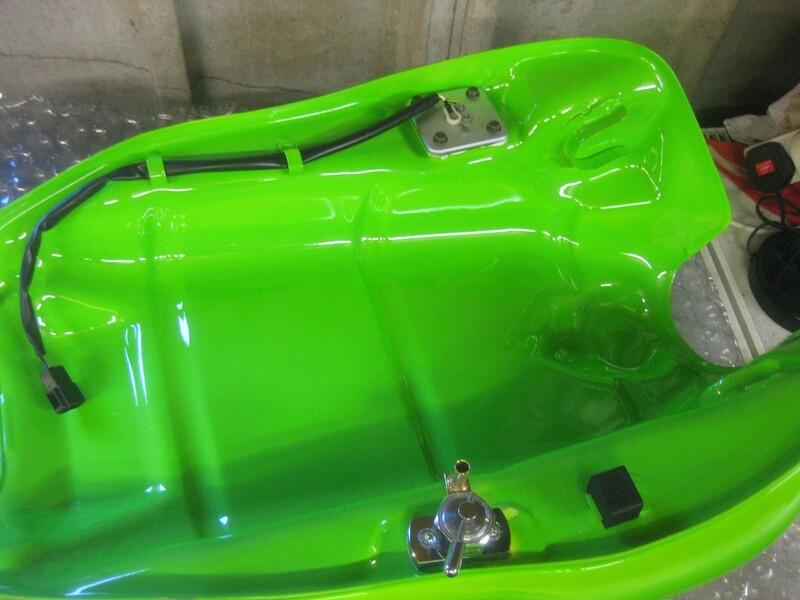 The sump was removed next - for a clean out & repaint. You can see all the oil pipes and strainer which link to the oil pan here. 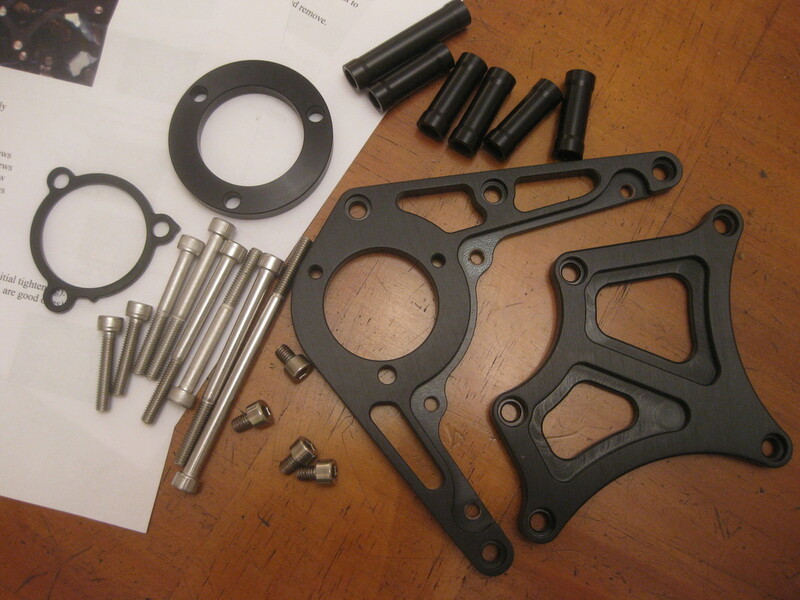 A fresh gasket, sealing washers & O rings were used for the rebuild. Brian used a self-sealing sump plug which does away with the gasket. That makes it lighter and gives more ground clearance - if you are counting the grammes & millimetres !! Here is the reassembled oil pan. 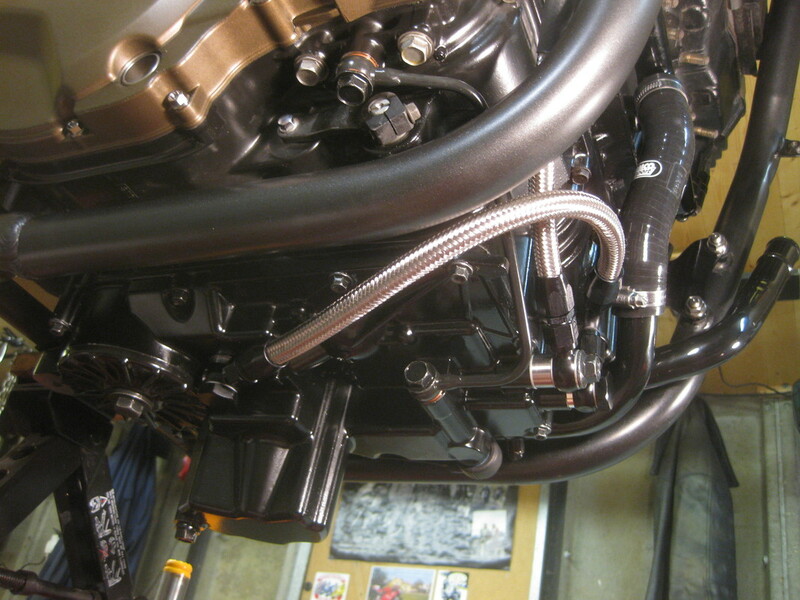 Note the new stainless braided hoses which are an upgrade. The unions were chosen to copy the Kawasaki originals. Note the bare metal spacer gasket at front. It is much thicker than the others and should only go here. The swinging arm was removed for re-finishing. Note the ratchet straps to hold the back end securely. The ZRX does not have a main stand so it can be unstable. The timing plate was replaced with an ELS unit which gives 4 degrees of advance. Stock timing at idle is 10 degrees before TDC, this plate moves it to 14 degrees BTDC. This will help with easier starting & smoother running. Users say that throttle response and roll on acceleration is improved. RCM from Japan made a flush fitting pulsar cover to hide the ELS advancer. Note that Brian is replacing factory fasteners with trick titanium ones. 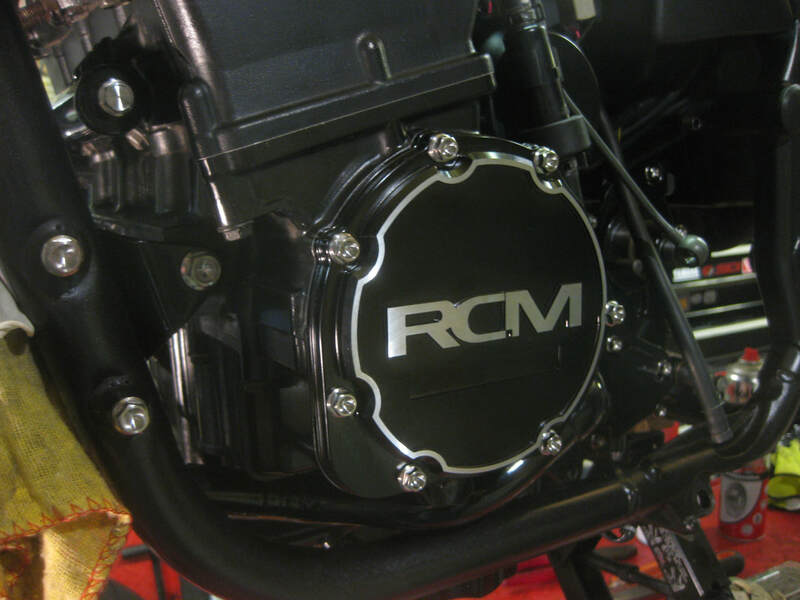 There is a rectangular slot under the RCM logo which needs filling later. The swinging arm was powder coated clear over silver to give a pristine look. This would match the ideas Brian had for a new rear brake. You can see the lower braced section on the swinging arm here. It gives greater strength and reduces flex - for good handling. 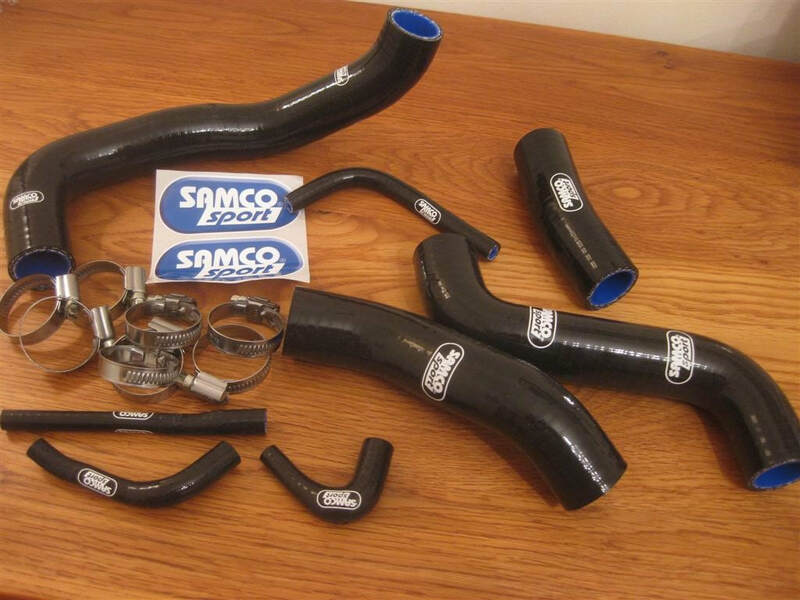 The standard rubber hoses were upgraded to SAMCO silicone versions. These are available in a variety of colours - Brian opted for a black factory look. Green is also a popular choice for these bikes. 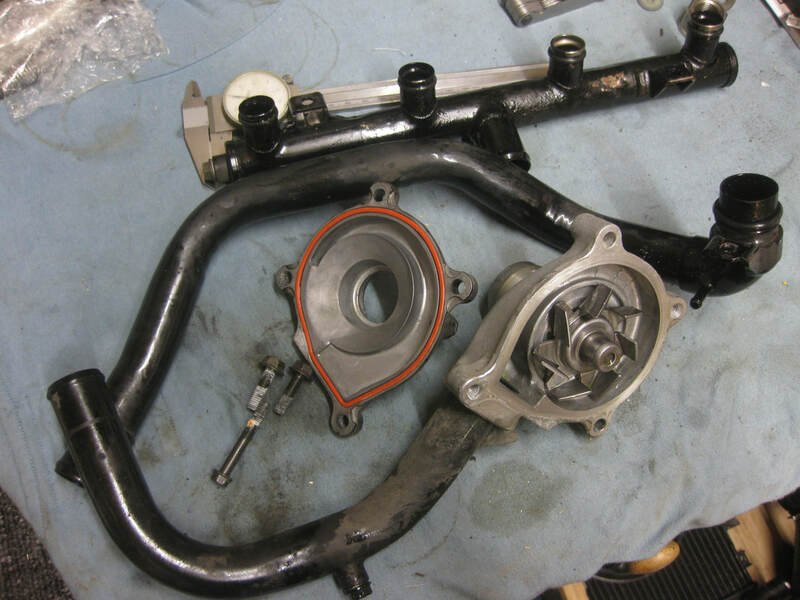 Do not forget the coolant filter located inside the coolant hose which runs under the carbs. It must be cleaned out regularly !! Here is the fan & radiator unit - all repainted and ready to fit back on. 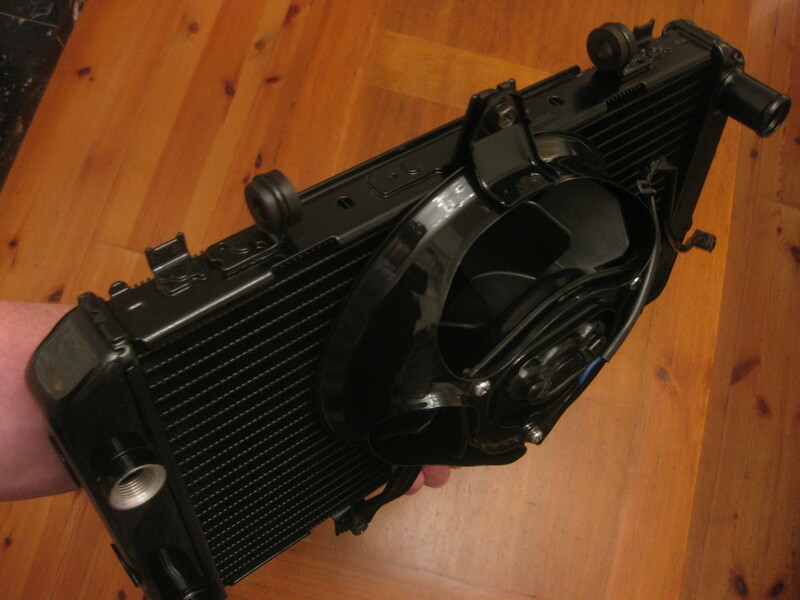 The fan is electrically controlled via a sensor on the left upper side of the radiator (into silver threaded hole). A protective mesh screen hangs at the front of the radiator, secured by two pan head screws at the base. 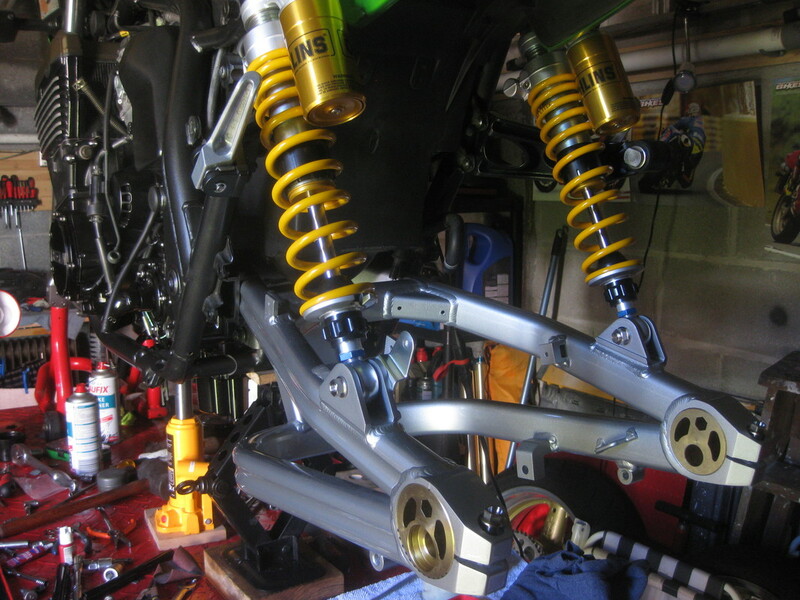 The standard KYB rear shock absorbers were upgraded to the latest offerings from the Swedish OHLINS Performance House. 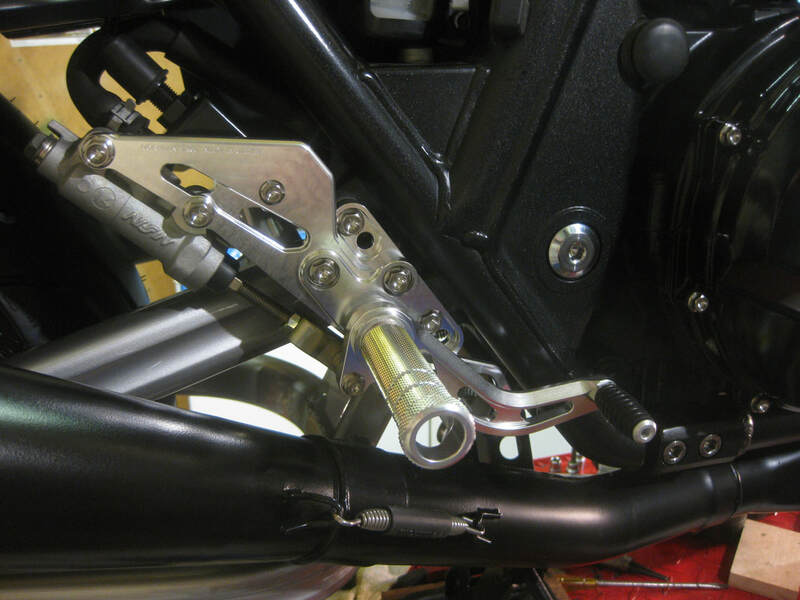 Note - the lower inner bracket on the left shock absorber - this provides the rear mounting point for the chain guard and must be rotated to align before final tightening. The gold anodised chain adjusters are eccentric - so they can be reversed to alter rear wheel height if required. 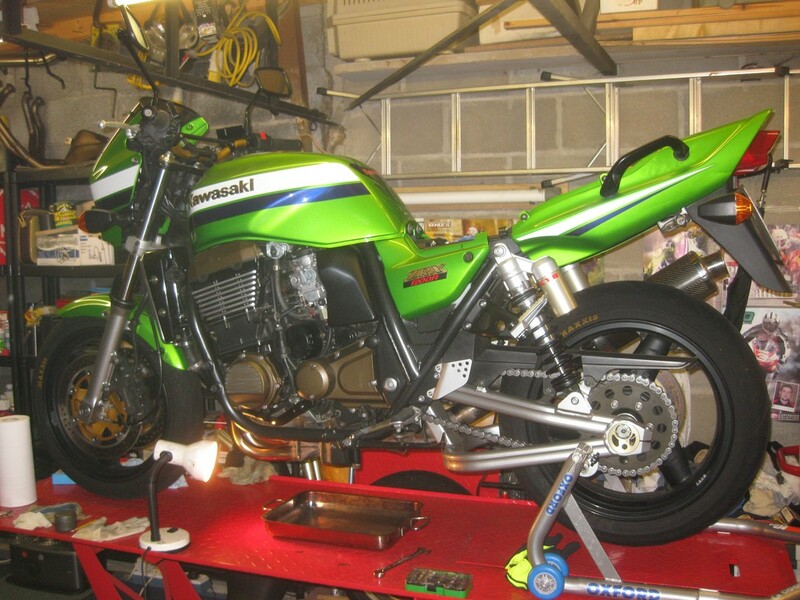 The original Eddie Lawson race bike, and later Z1000R and Z1100R tribute models, sported a KERKER exhaust system. To follow this heritage an all black system for the ZRX was imported from California for this build. The new exhaust note will be somewhat fiercer than the stock pipes !! 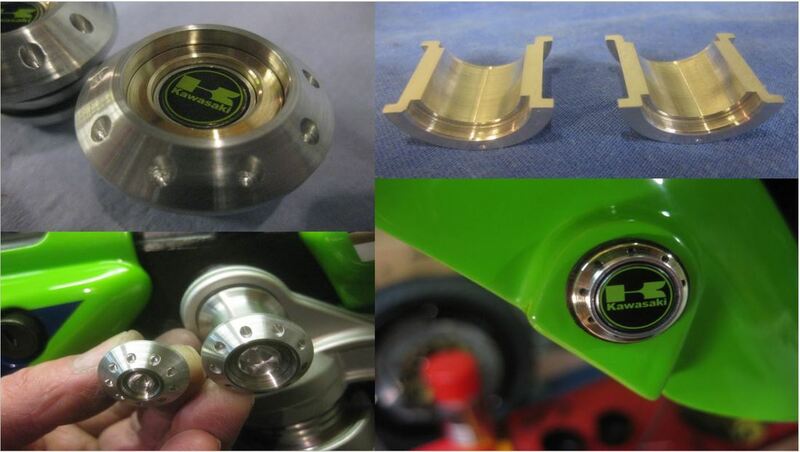 Here is a closer look at the re-machined KERKER end cap which was created for this build. 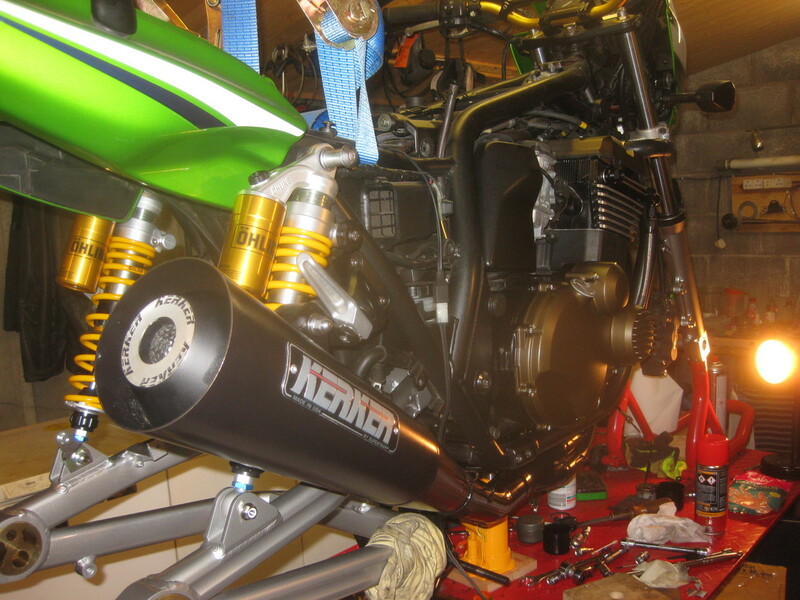 It was joined to a customised KERKER inner baffle which Brian modified. 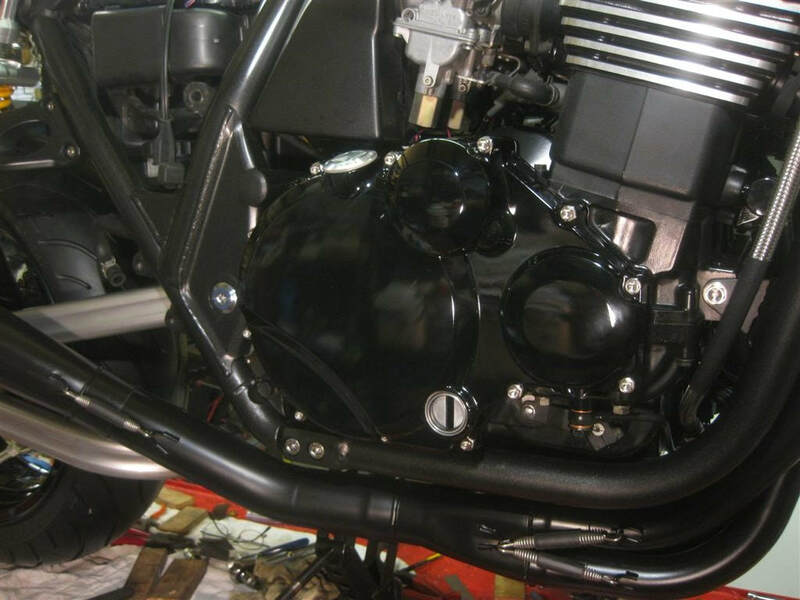 Without the standard air box the engine oil breather pipe is exposed. The plan was to machine a bespoke item, including a breather filter. This will look neat & deal with the oily fumes from the crank case. You can see it located (lower right) in the next shot. 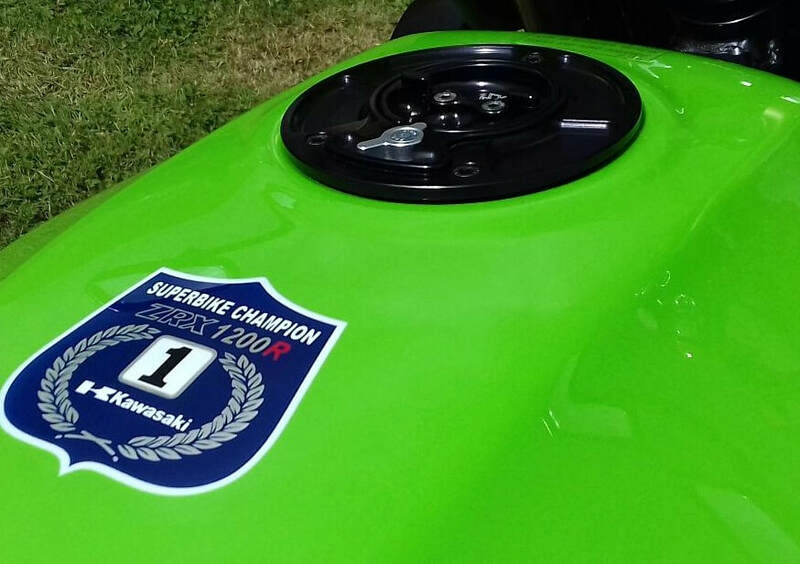 The MORIWAKI logo came courtesy of a frame plug from another bike. It will give a nice effect - fitted on the front of the new unit. Each carb was cleaned ultrasonically & Vapour blasted externally. The solenoids were removed and K&N pods were added to provide filtration. The other engine emissions pipework was also removed. 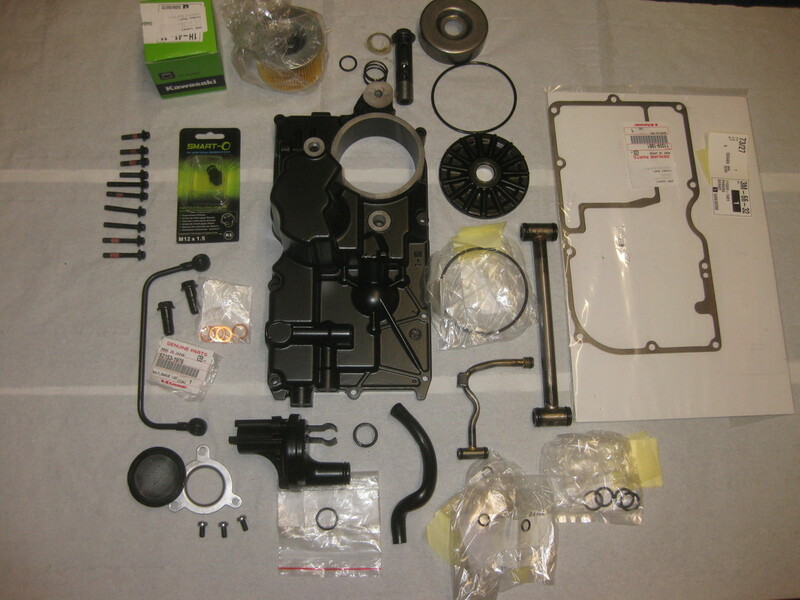 Because the air flow is improved a Factory Pro Stage 3 jetting kit was installed & all the carbs were re-balanced. The inner transmission cover got repainted and the large hole for the front sprocket shaft had a new oil seal pressed into place. This will cover up the new detent arm that was fitted earlier. The hole at lower right is for the gear lever shaft. Check & replace these seals if the shaft is moving up & down. 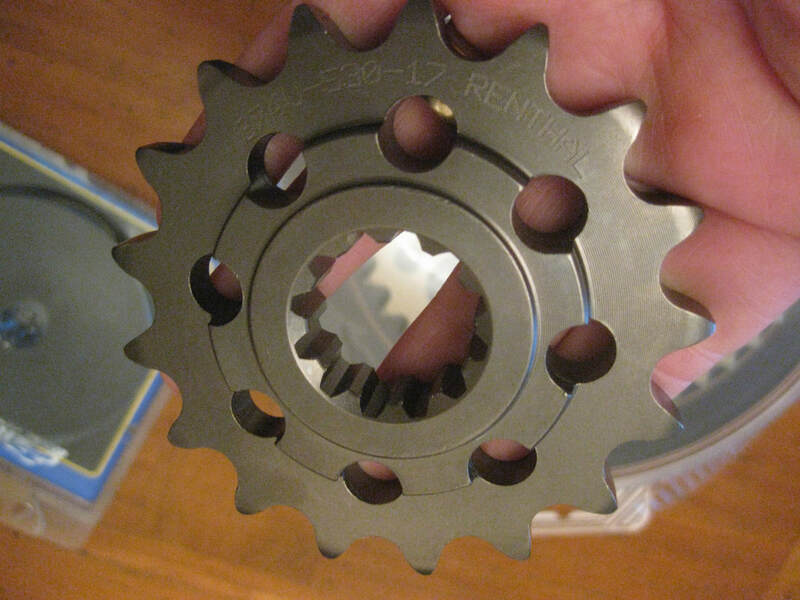 The ZRX standard front sprocket has 17 teeth. 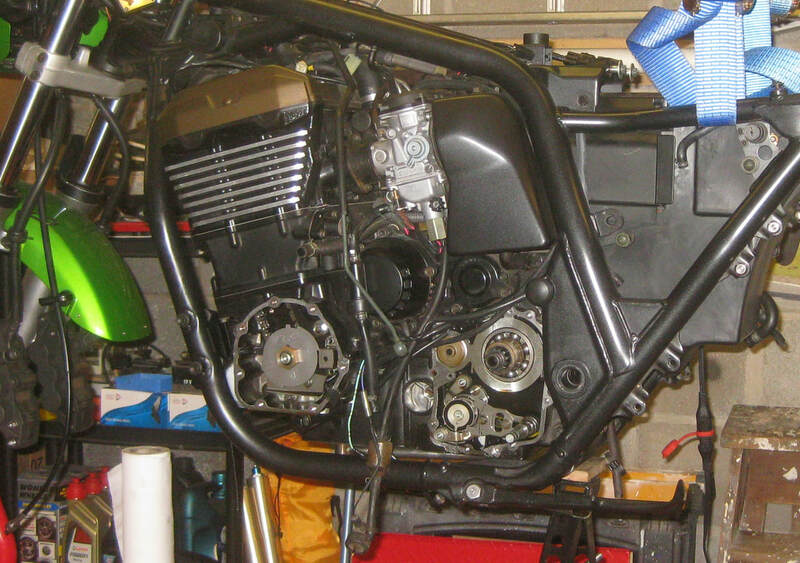 A Renthal Ultralight racing replacement was fitted for this build. 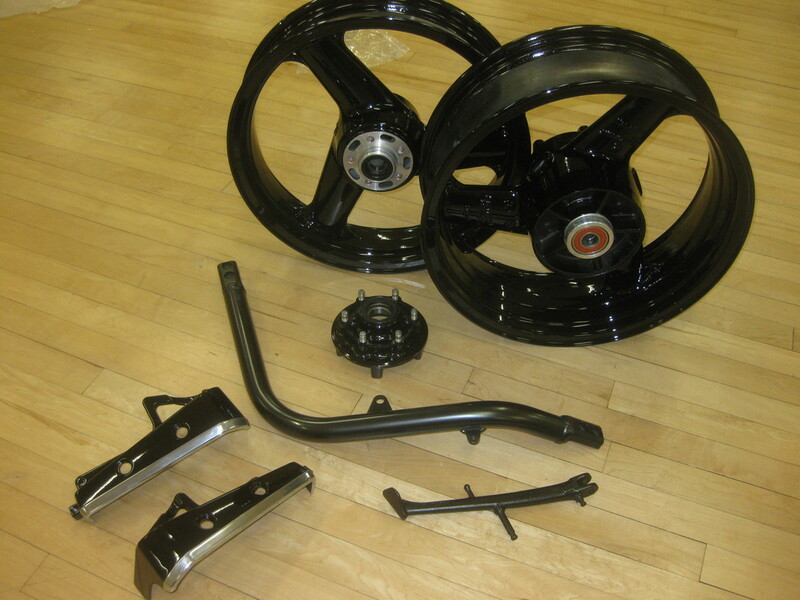 It has a hard anodised finish and will match the new rear sprocket. The front sprocket cannot usually be seen - but this build will be special. The wheel spacers were replaced by stainless steel items. These are specially made in Scotland for the ZRXOC . I think the process involves whisky & girders and has to be performed whilst wearing a kilt ?? Now the wheels are back from re-finishing. The rear sprocket carrier is also shown. 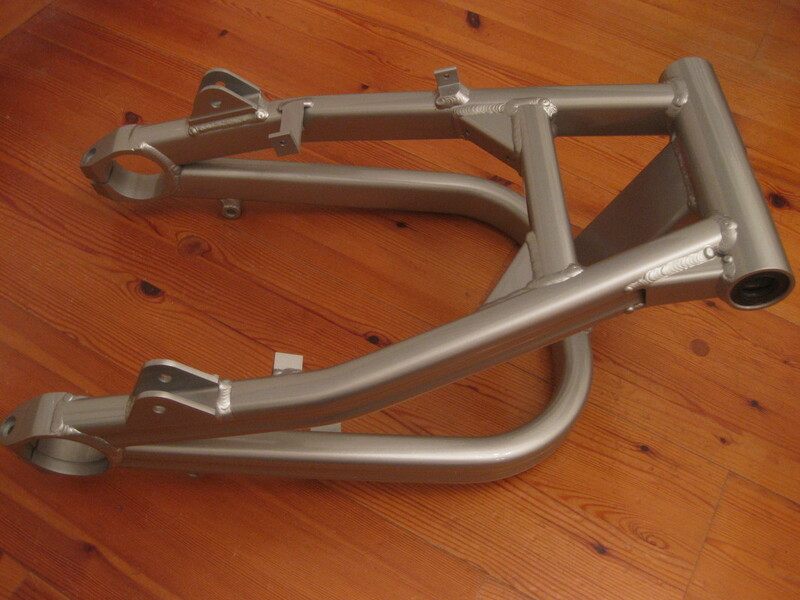 The L shaped bar is the removable front frame tube which is held on by four large allen bolts. Tsubaki from Japan supplied a new golden 530 chain to match the other gold finishes on the bike. 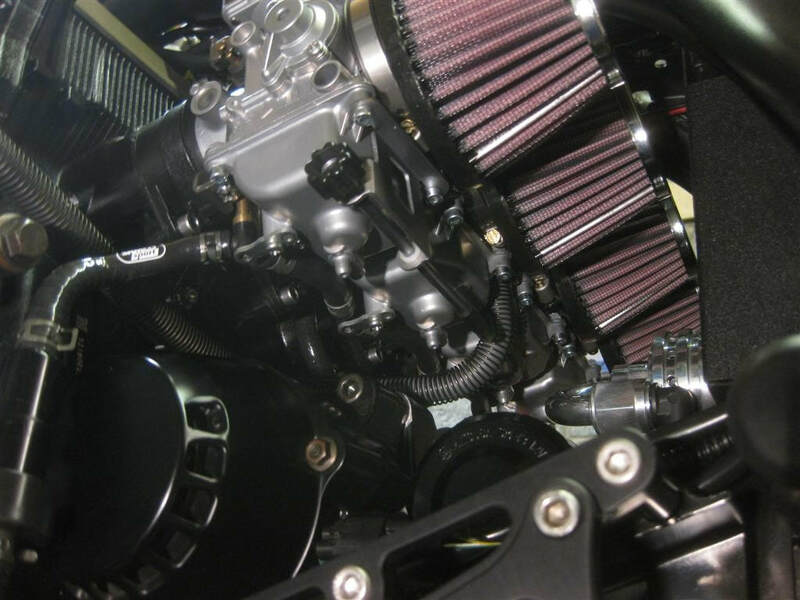 Brian selected a Renthal 44 tooth rear sprocket to increase acceleration. It matches the new front sprocket and will give more "lift" through the gears. 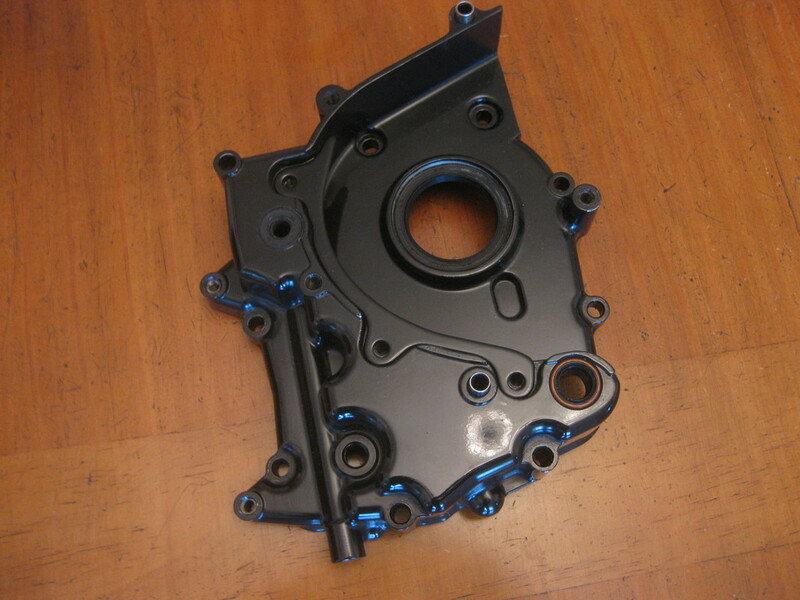 This trick replacement for the outer transmission cover came from Greg Couch in the USA. It allows a protected view of the chain & front sprocket. The rear section can be separated to give full access to the front sprocket - without having to remove the clutch slave cylinder - HANDY !! 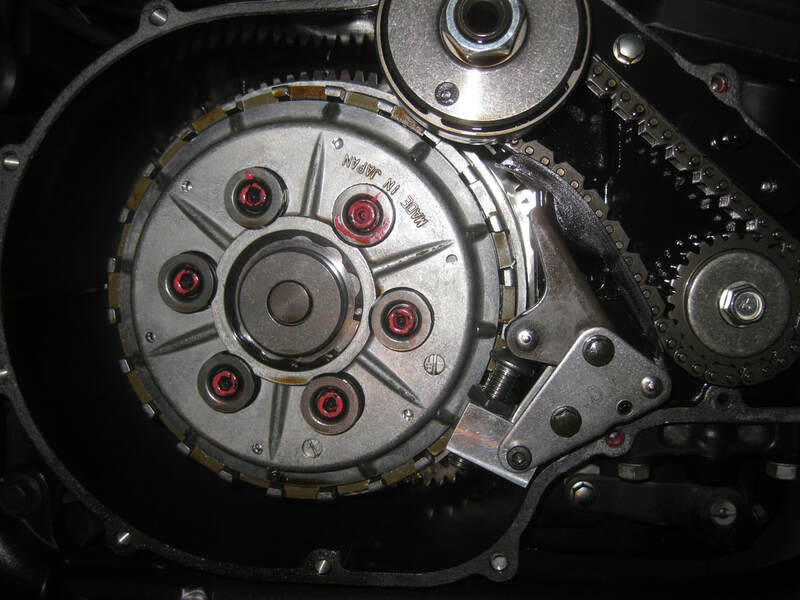 The stock clutch cover was replaced with a ZZR 1200 item. It is a flatter fit and will match the RCM Pulsar cover on the other side. Note the oil sight glass is much larger than a standard ZRX item so be careful to get the oil quantity correct !! Brian created a silver Moriwaki styled oil filler plug to pick up on the silver cylinder fin edge theme. The speedo drive & cable at the front wheel were removed for a cleaner look. 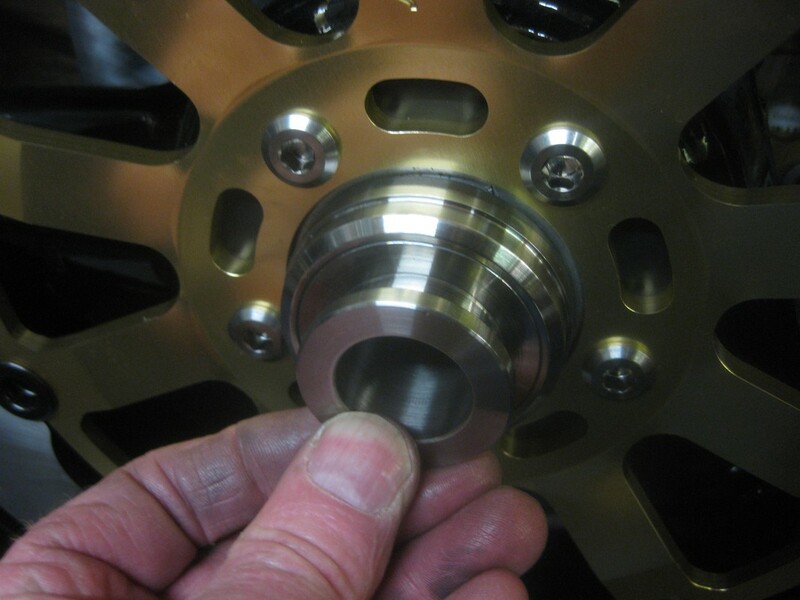 Brian machined a custom front wheel spacer to replace the speedo drive. 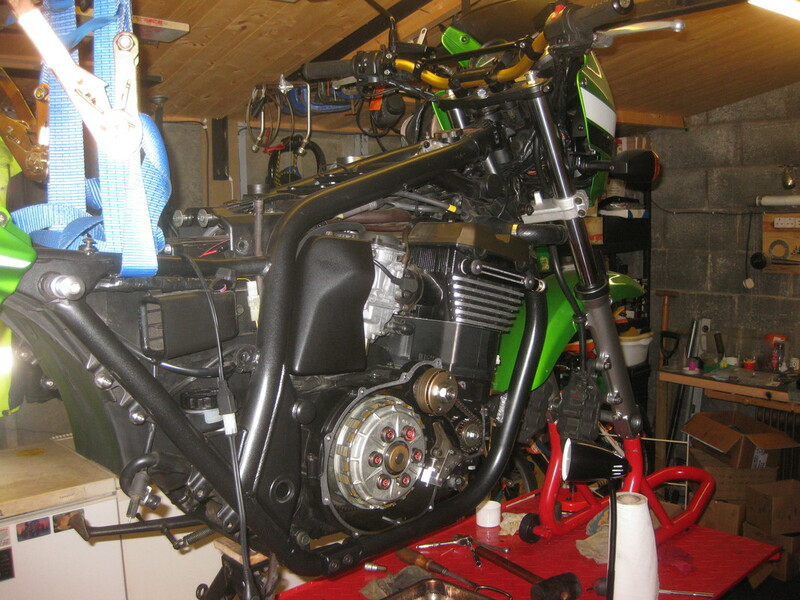 The bike will get a bespoke VFR conversion to drive the speedo from the gearbox. Very Trick !! The new speedo drive take off can be seen here. You can also get a glimpse of the new footrests. The small SAMCO hose take off is to warm the carbs. 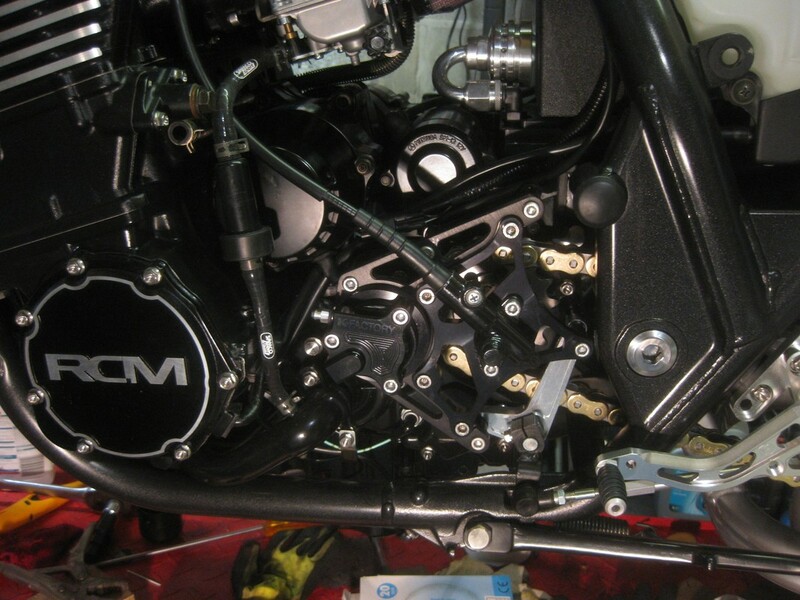 The latest MORIWAKI rear set units were fitted for this build. Here is the other side in more detail. They give a slightly more racing position for the rider. The stock NISSIN master cylinder was restored & retained. Because the speedo cable has gone there is now a hole in the front fender for a cable retaining clip. 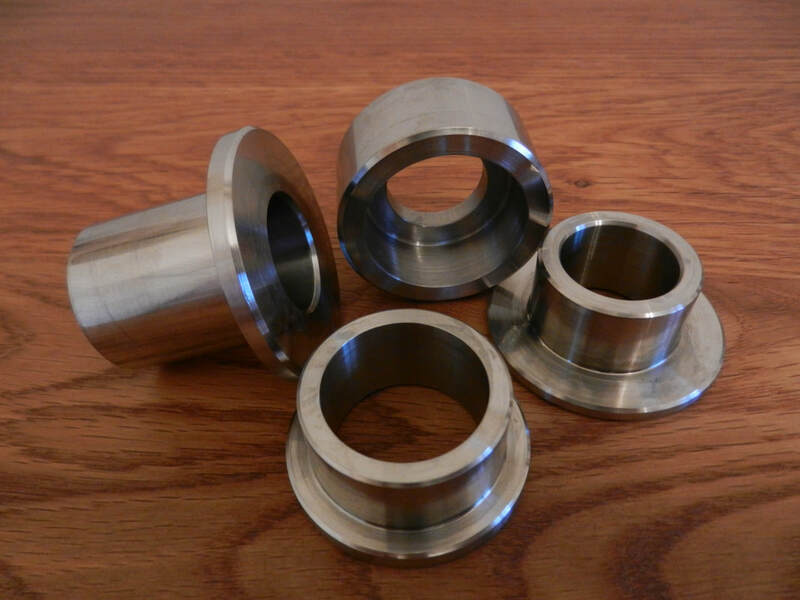 Brian produced a custom billet blanking plug to fill the gap. This design would be picked up and repeated in other locations as the build progressed. The steering yoke was refurbed and new taper bearings fitted. Note the small O ring shown lower middle - this fits on top of the upper race and is not present on after market races. The head has to be over-torqued to seat the new bearings correctly. Don't forget to relax it back to the correct setting before final assembly. 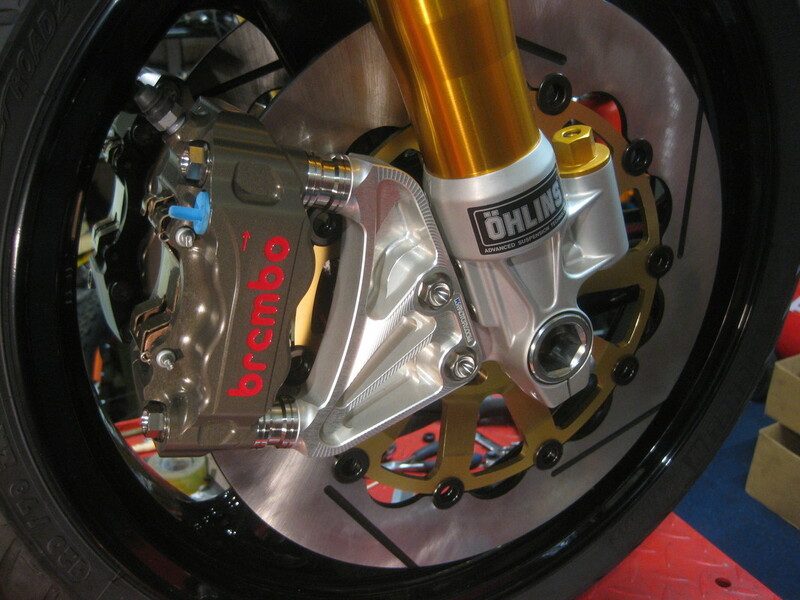 'K-Factory' billet radial brake mounts and of course Brian's own custom made calliper spacers. The rear fender is good for weather protection & touring - but more bulky than most new bikes. 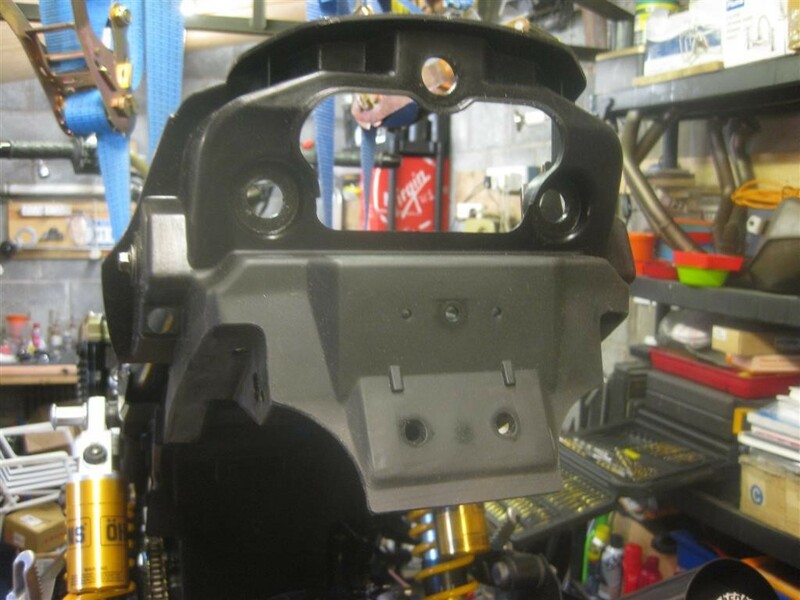 The solution used here was to modify the shape, removing some excess material, but retaining the ability to mount the indicators, reflector and licence plate bracket. The new look is more aggressive. Crazy Custom Paint produced the new paint scheme. It needed to be true to the early ELR livery. All the stripes & the top badge are airbrushed - not decals. This model gets body coloured side covers - earlier versions had gold side covers to match the engine covers. The stock fuel tap works by vacuum which is taken from the carbs. This was upgraded to a PINGEL unit that is gravity fed. The carb vacuum point needs to be blanked or she will not run right. The new unit is less prone to leaks and gives a high flow - which may be needed in view of all the upgrades !! There is a common issue with the tacho face bubbling around the left mounting screw. 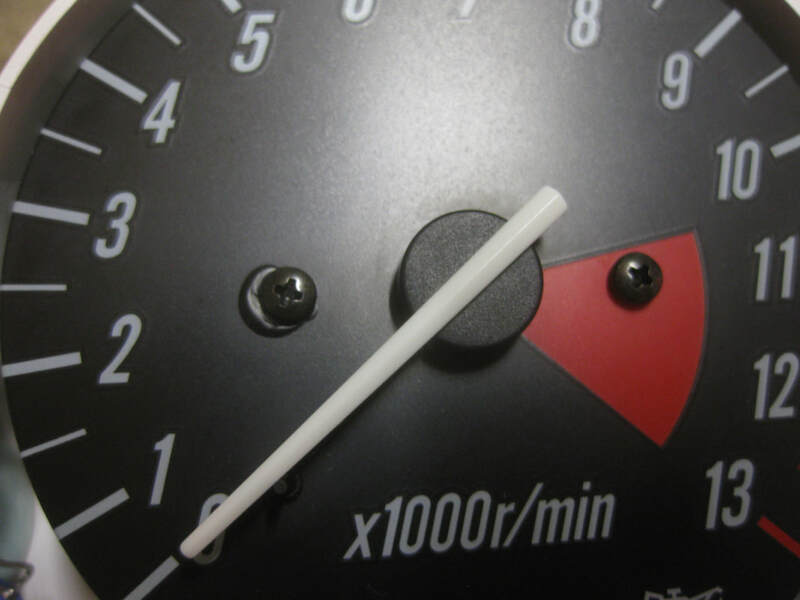 After some investigation it was attributed to heat transfer and Brian fitted replacement gauge faces from Venoxy. Various heat dissipation ideas were tried with little success. Only the left side seems to be affected & most bikes have it !! ZRX - The Final Solution ?? 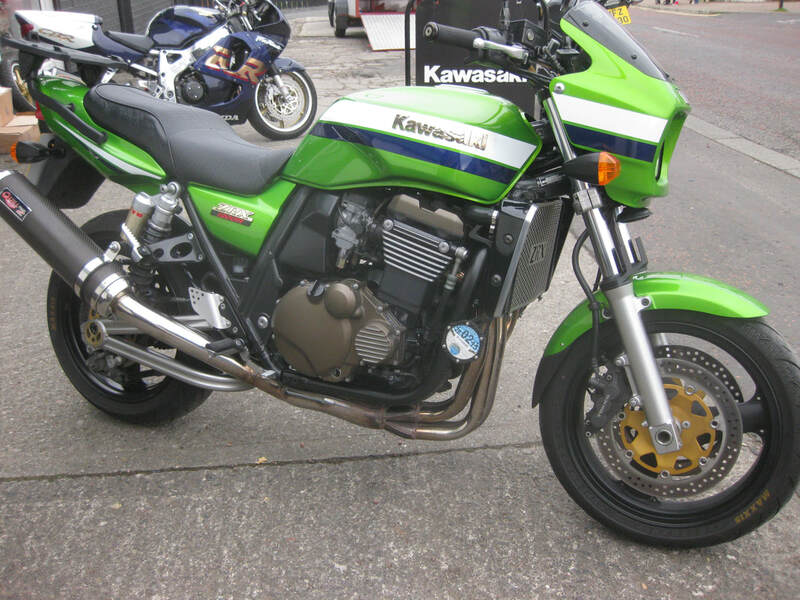 Here is the finished bike - I wonder what a Kawasaki factory version would look like if they still made one? Perhaps Brian's version will give them some ideas. It certainly inspired some other ZRX owners.